Air Niugini’s subsidiary company, Air Niugini Cargo Limited has recently appointed Express Freight Management (EFM ) as its new Cargo General Sales Agent(GSA) in Fiji. EFM is a home grown freight and logistics company that started in PNG some 20 years ago with large operations in Lae, the second business hub of PNG. It now has offices in Port Moresby; Brisbane; Honiara and Fiji with plans to add Port Vila in 2018. 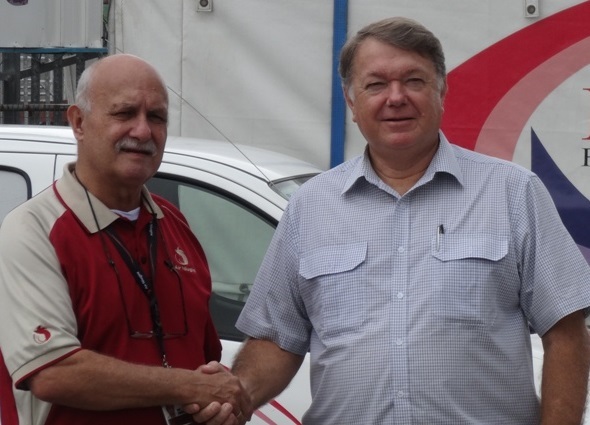 General Manager, Air Niugini Cargo Limited –Mr Gus Kraus said the partnership should see positive results for both companies with more ventures to be announced in the future. He is optimistic that this takeover will further boost cargo services in Fiji which is further supported by the three weekly Air Niugini flights to and from Nadi. EFM’s Managing Director Robert Howden, said after months of negotiating and awaiting the opening of EFM’s new office set-up in Nadi on the Western side of Fiji and also Capital Suva, he believes that the announcement comes at an appropriate time of EFM’s development of spreading its wings in the Pacific. He said they are pleased with these developments with Air Niugini Cargo Limited and look forward to furthering the partnership and expanding the freight businesses in the future. “ There are main synergies we can both tap into as our business is not only in Airfreight but also Logistics and Warehousing as well as road haulage and Customs clearance so it is very much a hands on business that can be a good fit with the National Carrier’s Cargo arm”. Howden said. Air Niugini Cargo Limited recently announced the appointment of EFM as its GSA in Honiara; Solomon Islands and already there has been much interest in this development with five (5) weekly services linking Port Moresby-PNG to Solomon Islands. Two of these services continue to Port Vila; Vanuatu and three services extend to Nadi in Fiji. Air Niugini Cargo Limited is a subsidiary of Air Niugini Limited operating autonomously with its own Board of Directors and is preparing itself for further developments in 2018 under the helm of General Manager, Gus Kraus, a veteren of 49 years in Aviation mainly in Papua New Guinea.